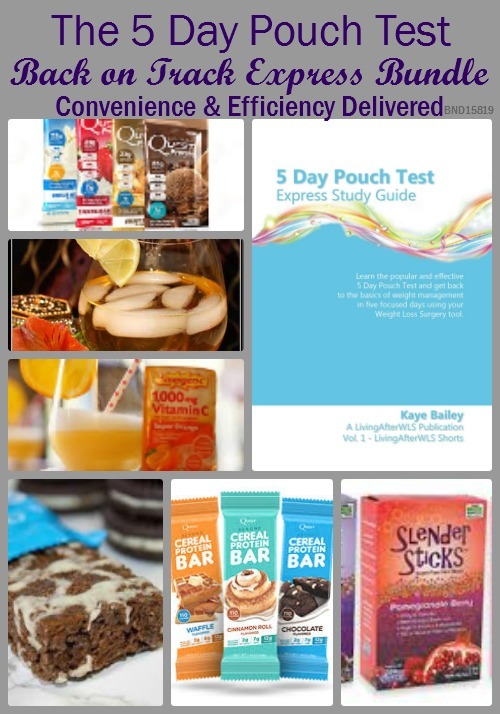 LivingAfterWLS Blog by Kaye Bailey: 9 Treats the No Snacking Rule is Okay With! "Rule #2: No Snacking. Patients are discouraged from snacking which may impede weight loss and lead to weight gain. Specifically, patients are forbidden to partake of traditional processed carbohydrate snacks, such as chips, crackers, baked goods, and sweets. Patients who return to snacking on empty calorie non-nutritional food defeat the restrictive nature of the surgery and weight gain results. It is seemingly contradictory that the 5DPT allows snacking. High protein snacks are allowed because they keep the metabolism active, they satiate hunger, and they help relieve the symptoms of carbohydrate withdrawal." 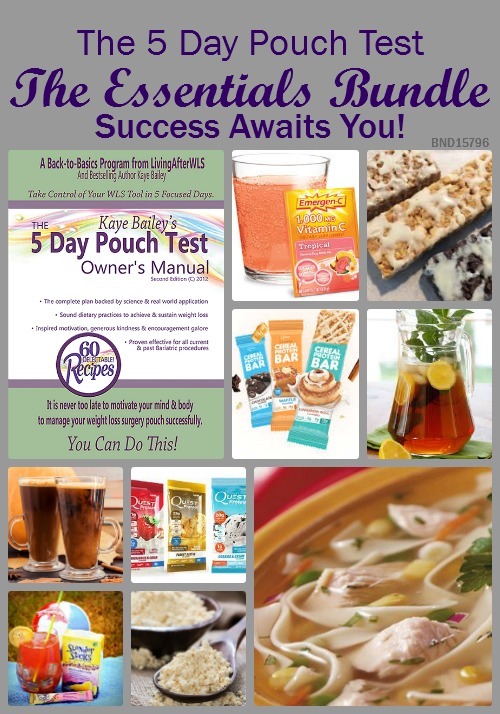 Kaye Bailey ~ 5 Day Pouch Test Express Study Guide page 12. In a perfect world we all make a weekly menu, do the shopping and preparation, and stick to our plan like NASA scientists. Then there are the rest of us! Sometimes my best effort is to plan the next meal and even getting that done is a chore. But on my best days, if nothing else, I plan a meal (or an appropriate snack) that I can look forward to when thoughts of food sneak uninvited into my day. For example in the summer when our raspberry bushes are heavy with berries I looked forward to an afternoon snack of raspberries and vanilla Greek yogurt. In knowing this was on my plate that day I avoided feelings of tedium or deprivation that so often come when maintaining a dietary program. The anticipation of the berries and creamy yogurt served to deflect other temptations. 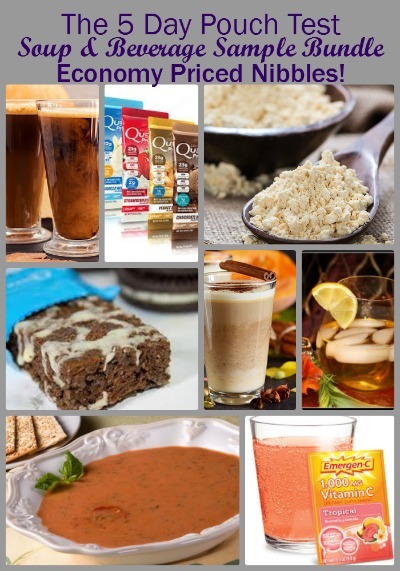 Protein Pudding (Whisk together 1 package sugar-free instant pudding with 1 can ready-to-drink protein drink. Chill and enjoy. Use serving size recommendations on pudding mix). Seasonal Favorite: Heart Healthy Pumpkin Spice Protein Treats with our popular Pumpkin Spice Protein Mix. 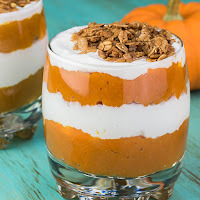 Link for our Newsletter and Recipes.